When you read where taxpayers money is being spent with Foreign Aid you will be MAD! 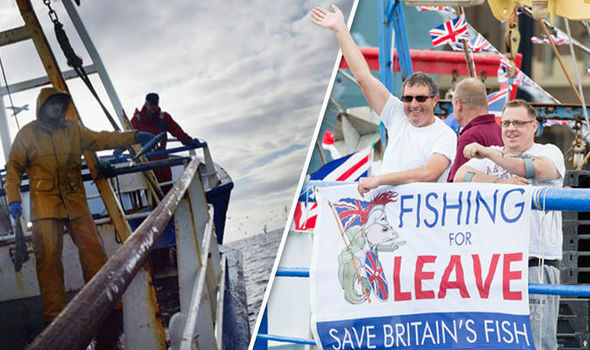 Foreign fishermen are being given millions in Government aid to help develop their businesses whilst many British Fisherman are struggling to make ends meet with many having to sell their boats and abandon the industry altogether. Numerous reports of desperate fisherman within the UK committing suicide have also been noted and this latest spend is set to cause outrage! The swollen Foreign Aid budget of £14 billion has been used to fund huge fish farming and ‘aquaculture’ projects in countries all over the world including Malawi, Bangladesh, Zimbabwe and Nepal. £14.3million on a ‘market development’ scheme in the Niger Delta in relation to 'fish-smoking'. £870,000 has been given to the global charity WorldFish and other groups to develop aquaculture in Bangladesh. £337,000 went towards the development of aquaculture enterprises in Malawi, such as the construction of ponds near towns and the donation of manufactured fish feed. £120,000 has gone to a scheme to help people living in southwestern Bangladesh adapt their lives to climate change. £264,000 was spent in Nepal where780 households will be taught about ‘fish farming and livestock management’. A Government spokesman said: "Fishing jobs are a vital source of income for some of the world’s poorest people – it is in all our interests that we provide the tools and the environment for people in developing countries to make a living, feed their families and stand on their own two feet. At the same time we recognise the importance of the UK’s historic fishing industry, which is why we are supporting our coastal communities to regenerate and grow." We say this is an absolute scandal and Foreign Aid should be cut NOW! Sign up here if you agree!